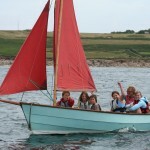 One of our experienced helms will take you out in one of our stable day boats for a cruise. Get stuck in and have a go yourself or sit back and let the instructor do all the work while you enjoy being on the water. No experience is necessary; this is also suitable for competent sailors that may be a bit rusty and would like to have an instructor on board to regain confidence. A great way to just enjoy being a float with out the perception of being taught, though you will naturally learn. 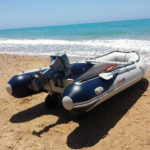 Half-day or full day trip, perfect to head off with a competent helm who will show you round our beautiful waters, perhaps land on one of the uninhabited islands for a walk or picnic. A great option to get out a float and explore where the larger passenger ferries cant take you. Perfect family experience. Sessions are by the half-day or full-day for up to five/six people depending on craft availability.